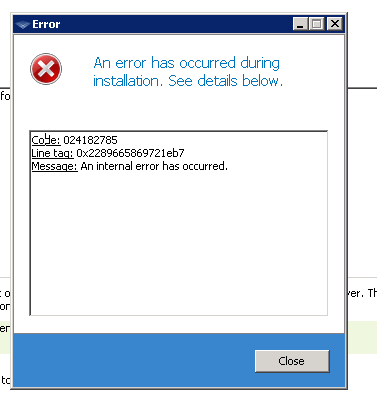 Just downloaded trial version, attempts to install on MS Server 2008 R2 and 2012 R2 each result in this error. See attached screenshot. Message: an internal error has occurred. Would appreicate suggestions as to how to proceed. Thanks.